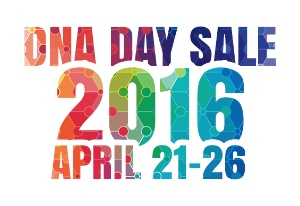 Gleeson Clan Gathering 2016: DNA Sale starts today! This just in from FamilyTreDNA - they are having a Sale from April 21 to 26, starting today at 5 PM Central (i.e. 11 PM GMT) and ending on Tuesday 26th April at 11:59 PM Central (i.e. 5:59 AM GMT on Wednesday 27th April). Of particular interest to surname projects, the standard Y-DNA-37 test is only $129 (114 euro, £90) and the Big Y test is only $460 (406 euro, £320). Also, the Family Finder test (autosomal DNA) is the cheapest I have ever seen it - $79 (70 euro, £55). So now is the time to buy your DNA test! As you may know, National DNA Day is April 25th, and commemorates the day in 1953 when a paper detailing the structure of DNA was published in Nature magazine. It also recognizes the completion of the Human Genome Project in 2003. Later today, at some point before our offices close (that’s 5:00 pm Central, Thursday, April 21), we’re launching the much-anticipated DNA Day Sale. which will extend through Tuesday, April 26, 2016 (11:59 PM Central). We’ll begin emailing the customer base later today, but we wanted you to know about it before we do. As always, thank you for your hard work! We appreciate you.